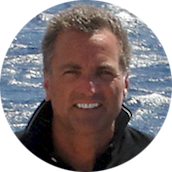 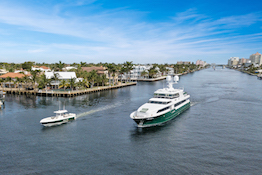 Imagine spending the winters cruising the crystal-clear waters of the Caribbean or the summers gazing at the lighthouse-lined coasts of the Northeast. 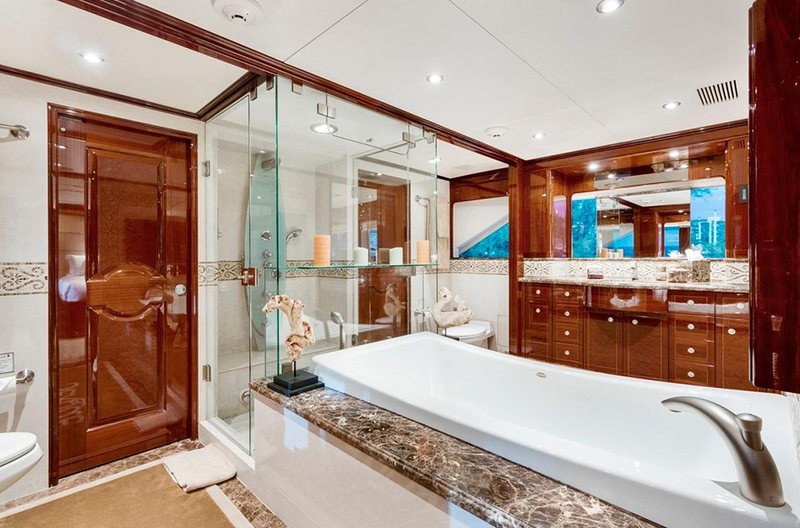 Now imagine doing so in unparalleled elegance and sublime comfort. 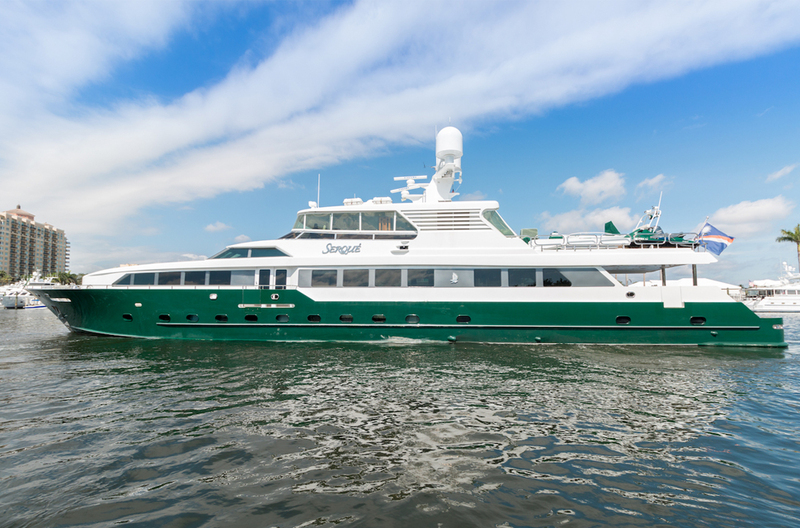 This lavish, 133’ motoryacht known as SERQUE, offers six staterooms, accommodates up to 13 guests and is outfitted with the best in water-toy options, including two Yamaha Jet Skis and a 37’ Intrepid. 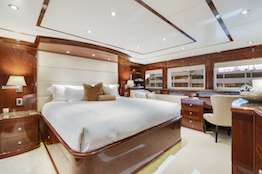 She also features a six-person spa and can even carry eight crew onboard to ensure a relaxing, luxury experience. 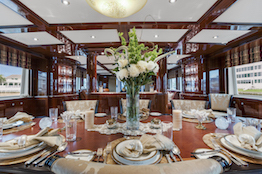 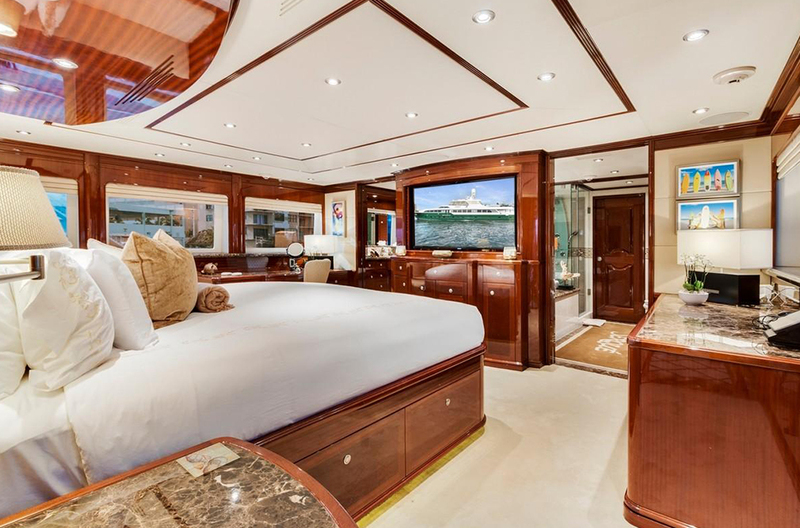 She accommodates 13 guests in 6 cabins, including a main-deck master suite, 3 doubles and 2 twins, all of which provide those familiar comforts of home. 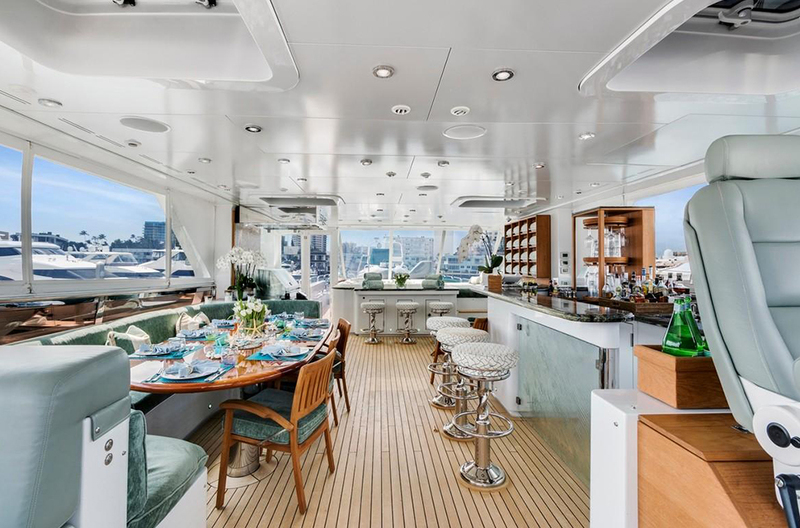 Well-planned exterior decks provide a multitude of spaces meant for endless relaxing, entertaining and al fresco dining, making her the perfect adventure yacht. 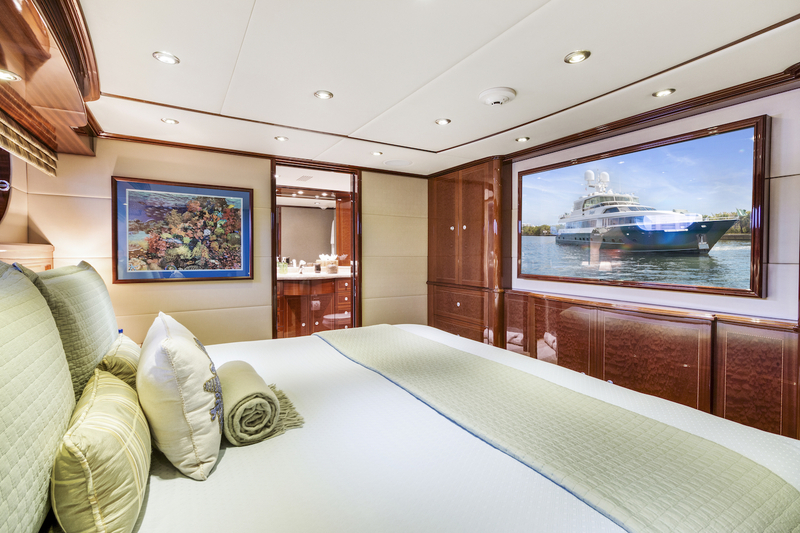 Mahogany sapele wood inlays, lush fabrics and state-of-the-art technology create a five-star experience for you and your guests. 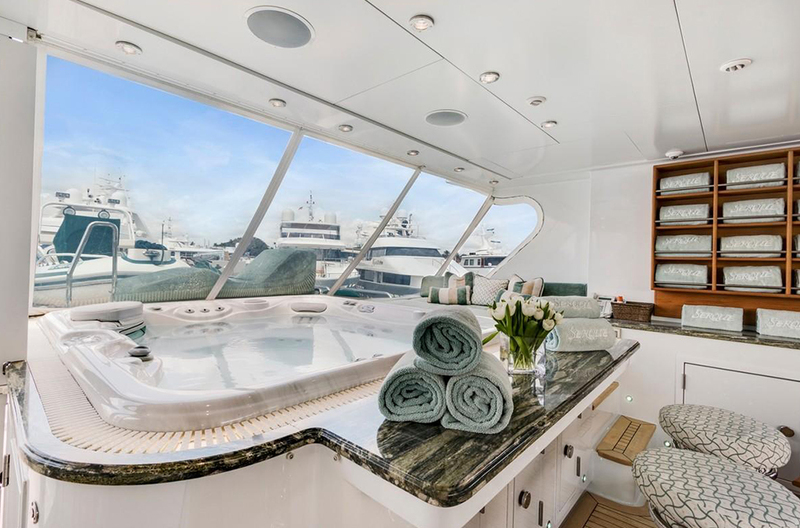 SERQUE features a sporty Intrepid tender as well as a wide array of toys, including multiple paddle boards, an inflatable floating island, diving equipment and much more. 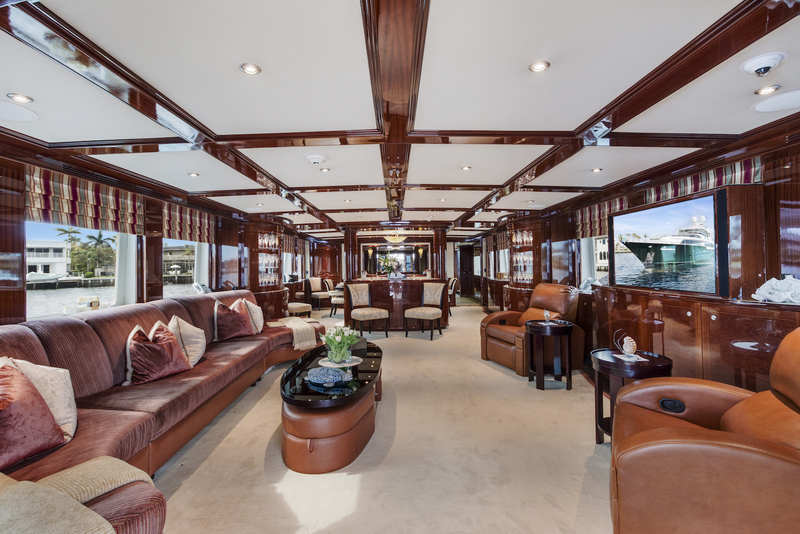 Guests will enjoy a real sense of comfort and all have access to the on-board, Kaleidescape server that allows for on-demand audio and video. 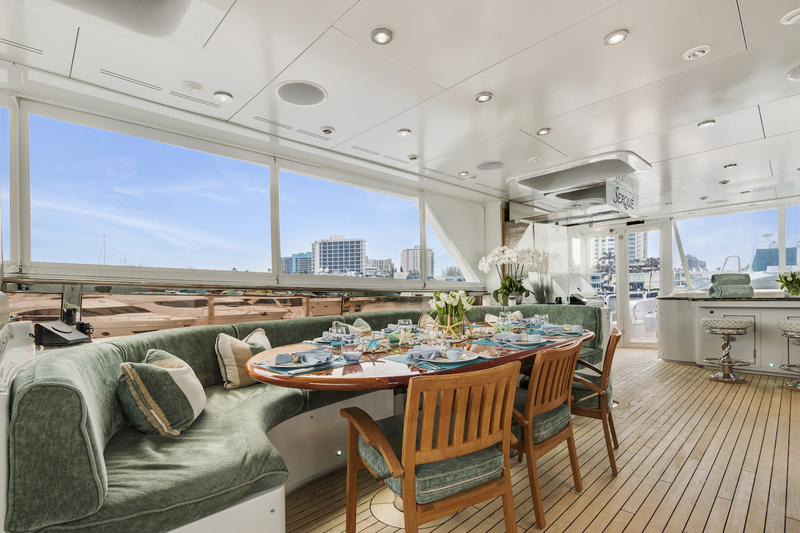 With plenty of lounging and sunbathing spaces, the retractable enclosed flybridge is the perfect spot for entertaining large groups. 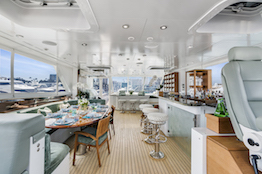 The full-beam main salon makes good use of glass, creating a bright, vibrant interior that welcomes every bit of the natural light inside the boat.